One of the best parts of How the Grinch Stole Christmas is this scene: the Grinch is straining as he holds the sleigh balancing precariously on a mountaintop. He hears singing and then pop, pop, pop, his heart fills with joy. I love watching How the Grinch Stole Christmas every year and I was dying to do an activity based on this favorite movie. 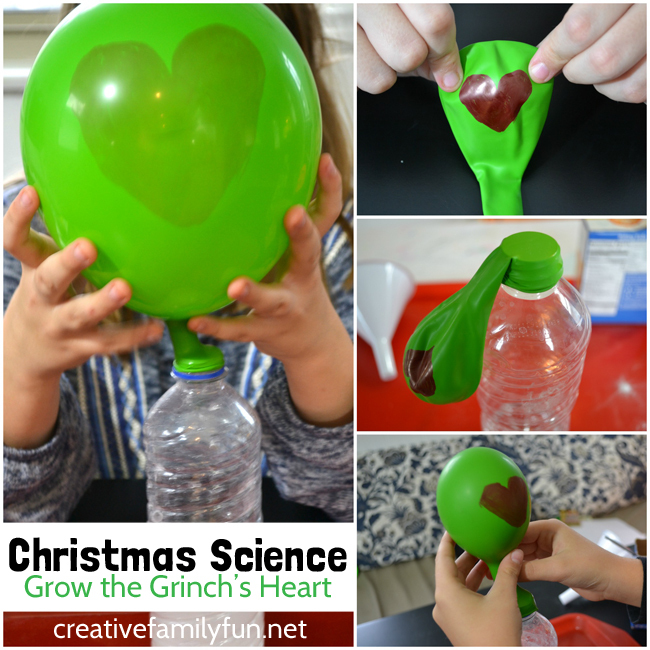 So, we took a classic science experiment, gave it a Christmas-sy twist to get this fun Grow the Grinch’s Heart Science Experiment. Before you begin your project, you’ll want to make the Grinch’s small heart. 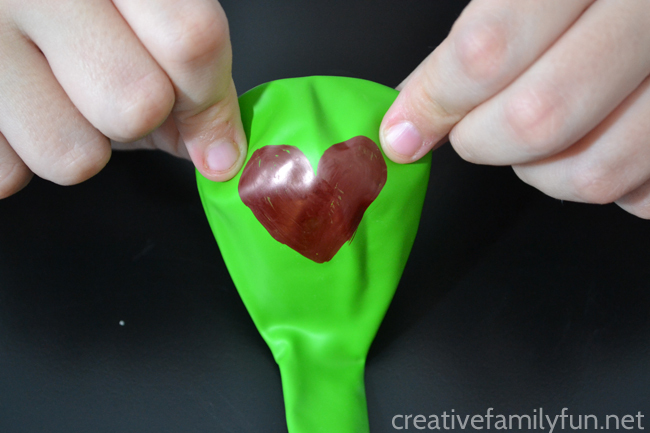 Take a green balloon and use your red Sharpie to draw a simple heart on the balloon. 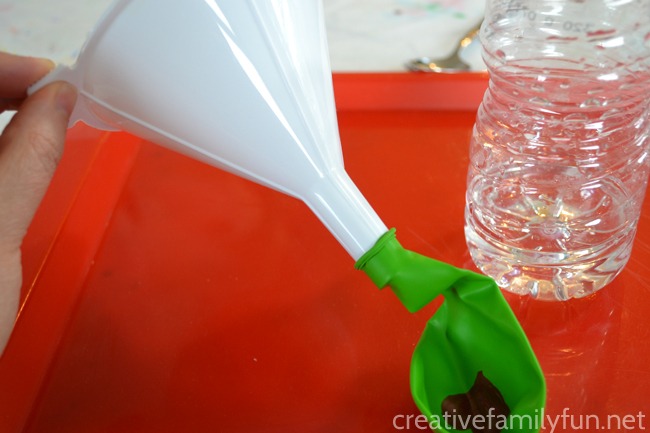 Give it a minute to dry before you begin your grow the Grinch’s heart science experiment. 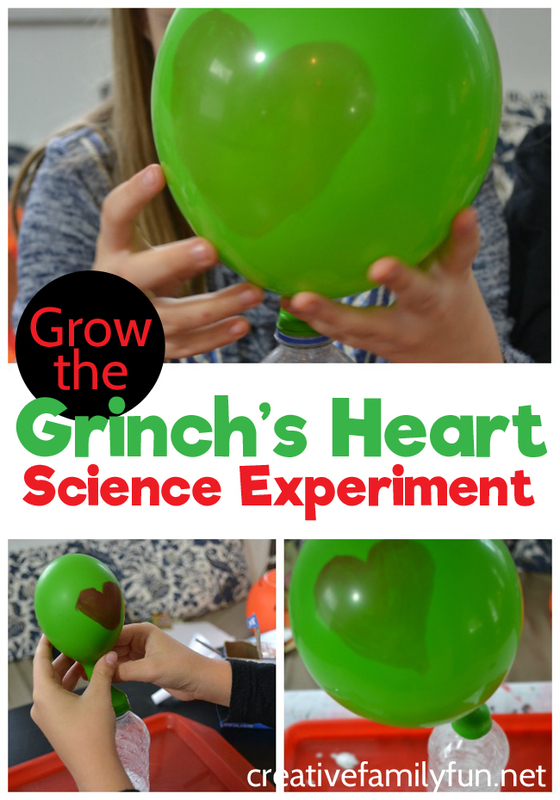 Grow the Grinch’s Heart Science Experiment. For the first step in your experiment, add some vinegar to your empty water bottle. I filled it up to about the second groove from the bottom. Eyeball it. You don’t need to be exact. 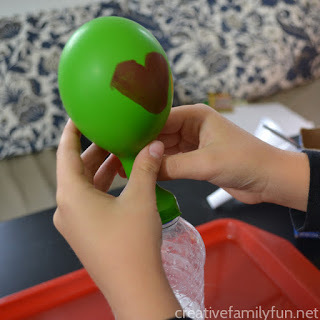 Attach your balloon to the bottom of your funnel (like the picture above). Fill the balloon with about two to three spoonfuls of baking soda. You may need to shake it a bit to get all the baking soda into the balloon. Remove your balloon from the funnel. 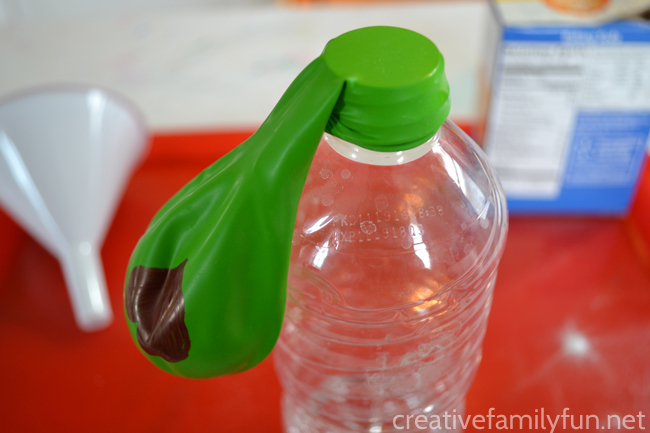 Carefully, without dumping any baking soda into your bottle, attach the balloon to the top of the water bottle, like you see illustrated in the photo above. You’re all set up! Get ready to grow the Grinch’s heart. Lift the balloon up and shake the baking soda into the bottle. Your balloon will start inflating immediately. You can let go once the balloon starts filling up and watch the Grinch’s heart grow three sizes (or more). The combination of baking soda and vinegar formed a gas called carbon dioxide, which filled your balloon. This is the same gas that forms the bubbles in your favorite carbonated drink. Have you watched How the Grinch Stole Christmas yet this year? 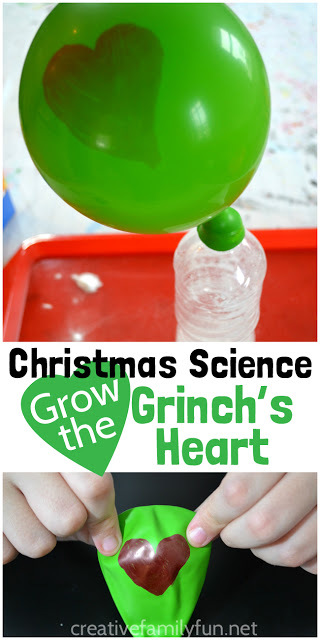 When you do, add a little extra fun when you do this grow the Grinch’s heart science experiment. 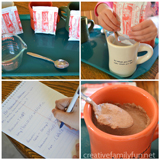 Hot Chocolate Science : How does temperature affect the rate that hot chocolate dissolves? Snow Science Prediction and Observation: Make some predictions about how quickly snow melts in different conditions. Hockey Science: Experiment with friction when you do this fun science project inspired by the game of ice hockey. Christmas Magic Milk Science at Little Bins for Little Hands: Try another classic experiment with a Christmas twist. 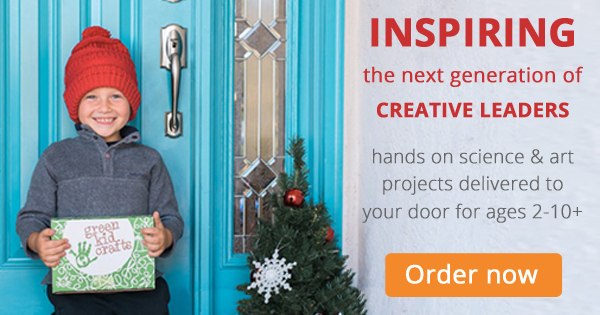 If you love to have STEM projects on hand, but don’t always have time to prep, why not give a subscription box a chance. 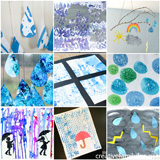 I love Green Kid Crafts for this reason. 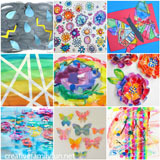 The boxes are packed full of projects that are fun and inviting. You can choose to get a subscription or a one-off box based off of a specific theme. 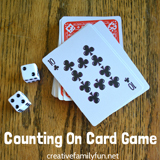 Find all their fun STEM boxes here.